October is a popular month for traveling abroad. 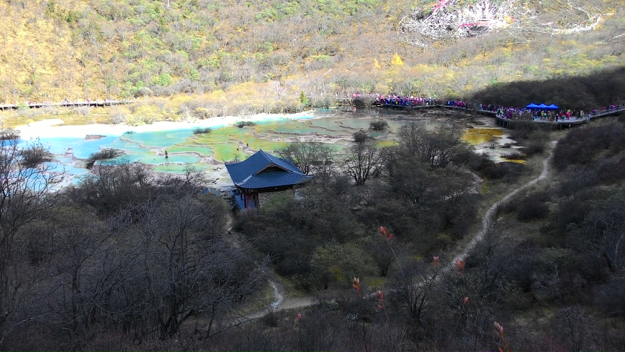 This year, my parents and I went to Jiuzhaigou (九寨沟), Sichuan (四川), China. 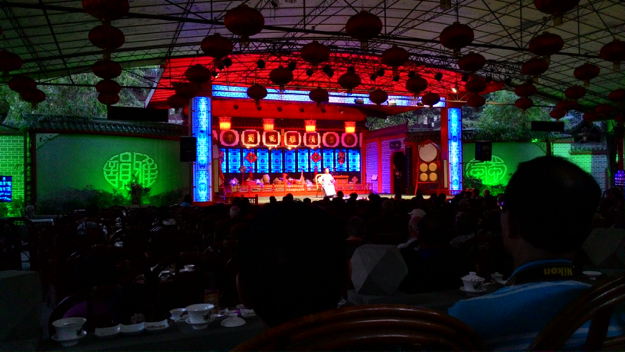 Last year of the same month, we went to Hanoi, Vietnam. 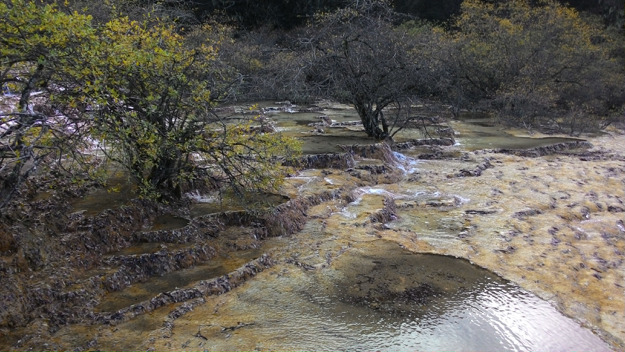 Jiuzhaigou Valley (九寨沟) is world famous for its natural beauty and is named one of the World Heritage Sites. 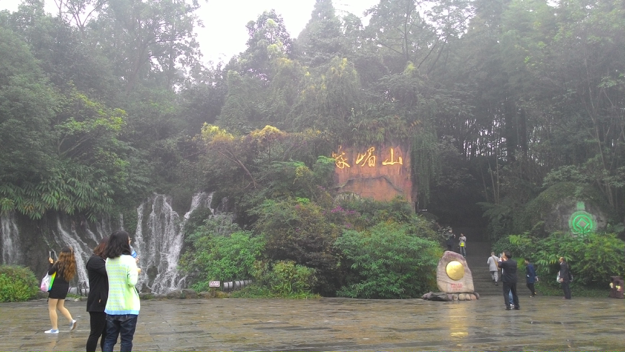 It is located in the north of Sichuan province (四川), Chengdu (成都) of China. Note: 九寨沟 is about 48 hours away from Miri, Sarawak (one day with 2 airplanes Miri-KL-Chengdu and one day with bus). 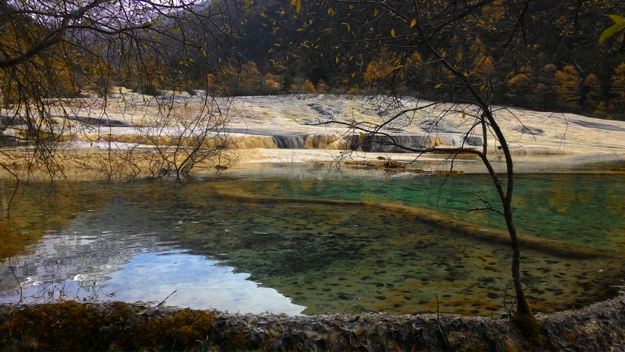 You need to be very patient and in physically good shape to get to Jiuzhaigou. 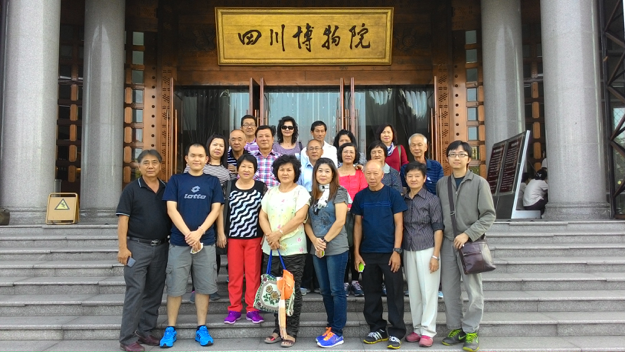 We were going with a group of 20 people (mostly aged 50 and above with some retirees aged 60 and above) and the trip was organized by Airworld Travel agency. It costs RM 4690 per person + RM 159 insurance for nine days between 12 October 2015 till 20 October 2015. Divided by the number of days abroad, the cost is around RM 521 per day abroad. Not cheap at all even though most of the time (80 % of the time?) you spent was in transports moving from one place to another either in the planes or the bus and changing hotels for at least six times during these 9 days. Note: It cost me RM 500 per day at hospital due to dengue last year September-October. RM 521 per day is a new record. However, this will not be the only money you spend for this trip. You should expect to spend more money to do the “necessary” buying from the local merchants in order to support the tour guide. So remember to bring extra money! However, if you were lucky, some of the members in your group would do most of the shopping, thus saving you from spending unnecessarily. But only if you were lucky. Note: If you really don’t want to spend, don’t bring along your credit card! All the merchants accept credit cards. And according to some of the members, they were being cheated in their previous experience where they were told to pay for RMB 2800 (not voluntarily, of course) but got charged for RMB 28000 instead. So be careful. 1300: Reached KL airport (2 hours and 15 minutes flight from Miri). 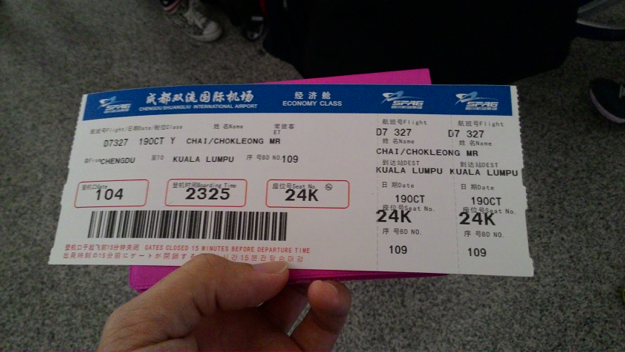 2300: Reached Chengdu airport (4 hours flight from KL). 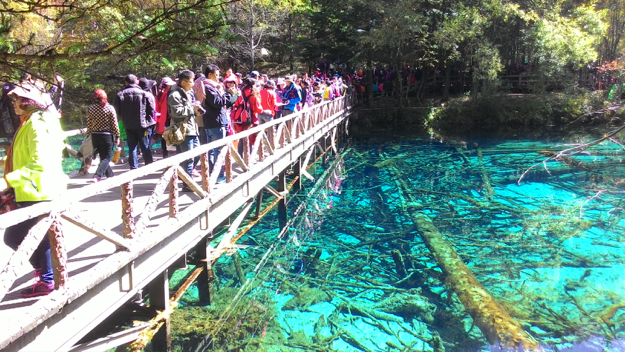 Full day bus trip to Jiuzhaigou. 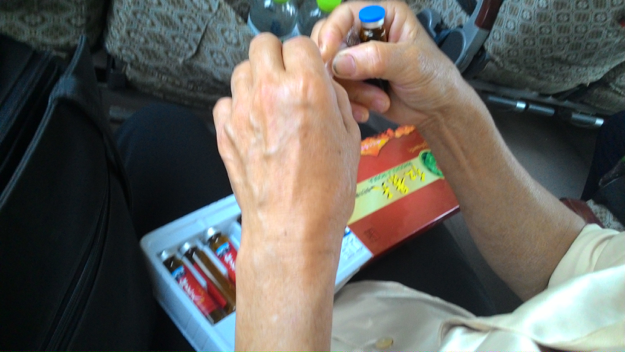 Since we were moving up to higher ground (around 2000 m above sea-level), the tour guide started to sell, especially, to older people in the bus that they could avoid the altitude sickness (高原反应) by consuming the Rhodiola Rosea (红景天) drinks which cost RMB 100 (RM 66.52) per box of 10 small bottles. Most of the elderly people actually bought the drinks. 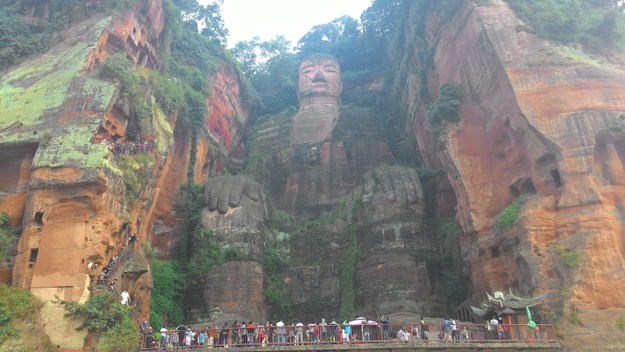 The tour guide made more than a thousand RMB in a single bus trip. I had been to Cameroon Highlands and Genting Highlands several times and I never experienced altitude sickness. My parents neither. However, they bought the drinks too. Psychology and ignorance really sell. This is a valuable business lesson I learned from this experience. According to Poor Charlie’s Almanack: The Wit and Wisdom of Charles T. Munger, Expanded Third Edition , Charlie Munger did a thorough analysis of Coca-Cola’s success. It is a one-of-a-kind analysis and explanation that you won’t find in other places. If you are interested in doing business or investing, you should read it. The main reason for Coca-Cola’s success? Psychological forces are a major part of it. Now I am completely convinced. Another eye-opener that you will discover during this bus trip is that some of the toilets we went have no door even for the lady’s. There is no flush system and you will have to pay to use it. 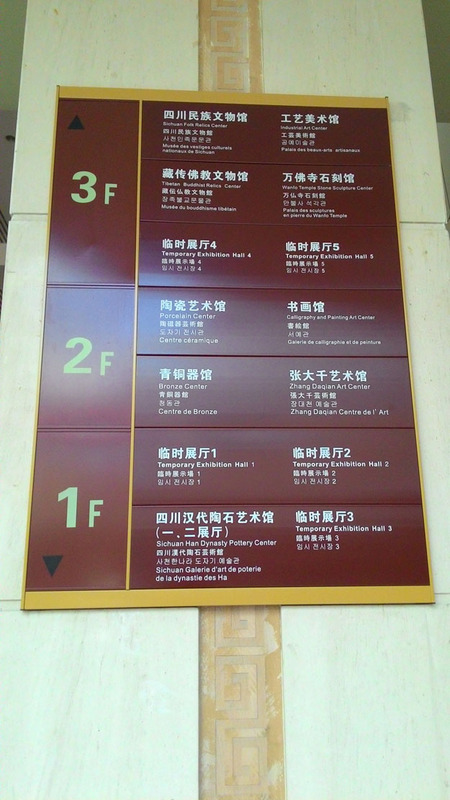 RMB 1 (RM 0.66) per entry. Remember to prepare your changes. Obviously, the money you pay is to support the local people. 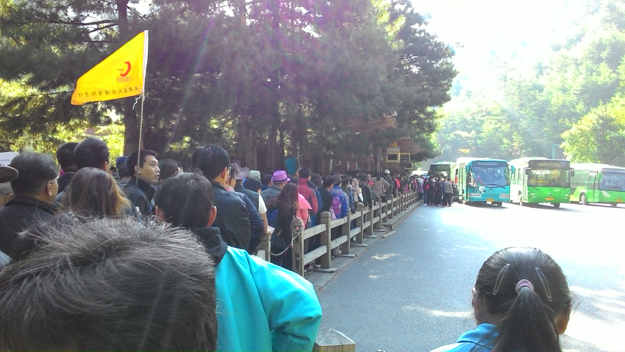 0800: Walked from hotel and hopped on very crowded buses a few times to visit the beautiful natural scenes. The risk of getting lost (separated from the group) was very high each time when taking the buses. There is an option to hire a private-bus so that we could avoid the risk of getting lost with an additional expense of RMB 220 (RM 146.34) per person. Unfortunately, it was too late by the time we made the decision, the private-bus was already fully booked. One of the group members actually did get lost one time, however, it ended up fine. From my observation, if anyone from the group did get lost, no one could help us even the tour guide. So be careful. 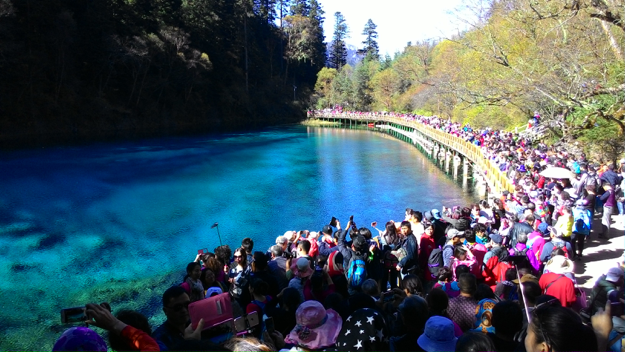 Another observation is that, it is too hard to take good group photos with the beautiful scenes in Jiuzhaigou because there are ways too many people pushing each other. Most of people are tourists from China, around 99 % of the tourists. 1800 – 1900: Watched the one-hour local tribe dance shows by 藏族 and 羌族. 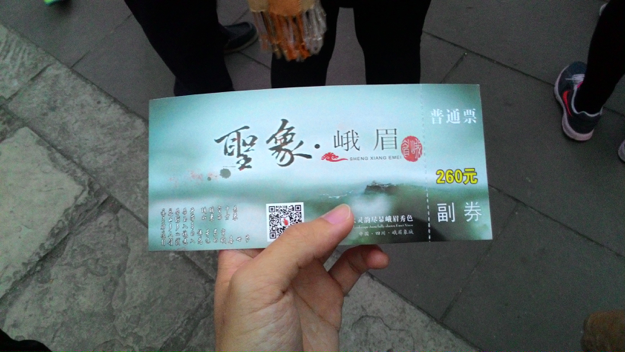 0800: Bus trip to 黄龙. It was freezing cold in the morning. 1000: Reach the first “shopping” spot for local teas. 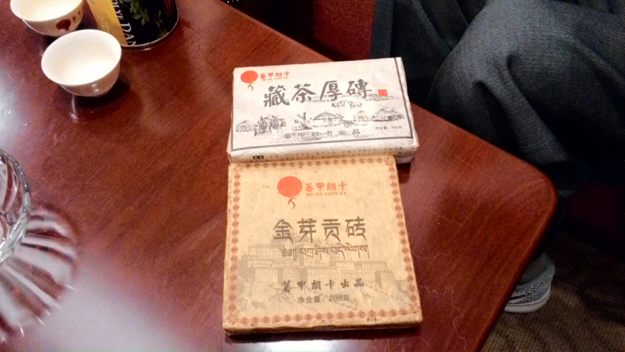 From the image above, the brick above (250 g) cost RMB 400 (RM 265.52) while the one below (200 g) cost RMB 800 (RM 530.90). 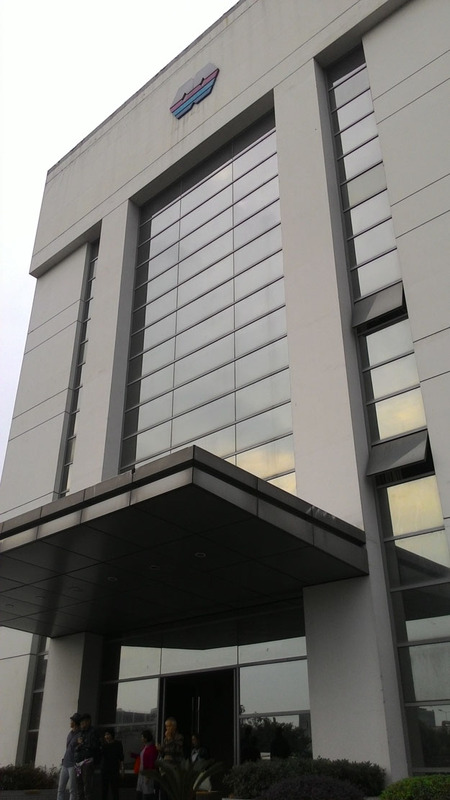 According to the staffs, their quota that day was to sell 12 bricks of tea. That means 12 x 800 = RMB 9600 (RM 6370.85). Not meeting the quota, we were not allow to leave. We spent quite some time over there. 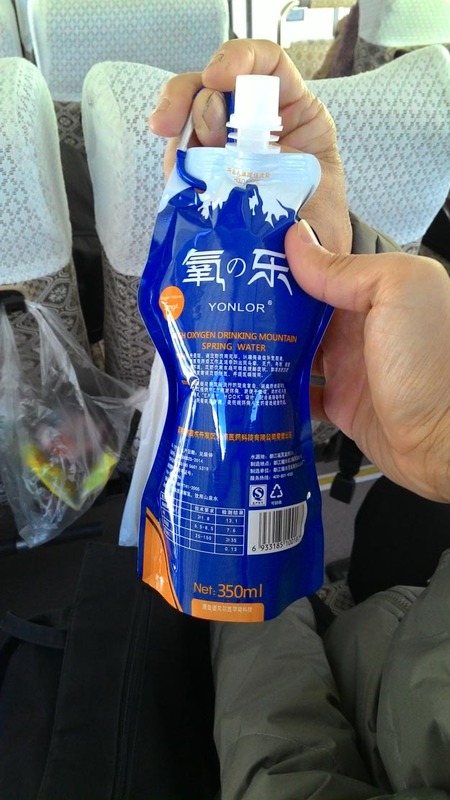 After leaving the shop, in the bus, before reaching the restaurant for lunch, the tour guide took the opportunity to sell another kind of drink: oxygenated drinking water which cost RMB 98 (RM 65.18) per packet. It tasted just like normal mineral water according to those who drank it. According to the promoter, the drink could help avoid the altitude sickness which could cause dizziness, breath difficulty, nose bleeding, etc… since we were moving to a place 4000 m above sea-level. Again, psychology sells. 1200: Due to the delay in the tea shop, we needed to rush while having our lunch. 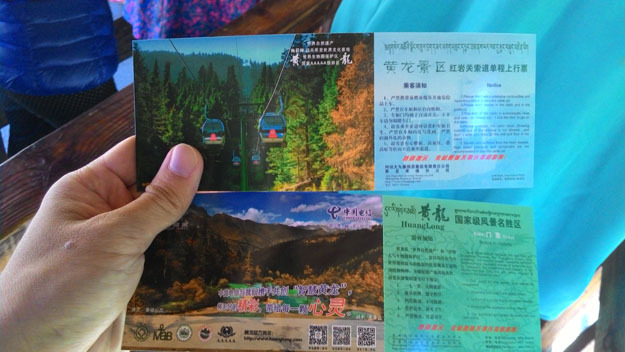 1300 – 1400: Waited one hour to take cable car to go up to the mountain. 1400 – 1800: Four hours of walking up to 4000 m above sea-level and down. Note: The temperature changed dramatically during the day. As the tour guide said, you would experience four seasons in the same day and now I understood him. When the sun shines, you feel hot. When the sun is hidden behind the mountains, you feel extremely cold. At the end of the day, most of the group members were having leg pain due to walking long hours. It was a really physical demanding trip. 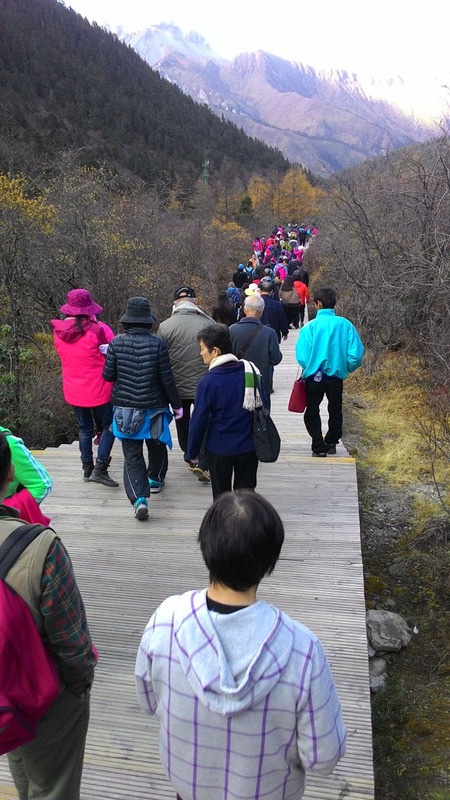 Having survived the HuangLong walk with no Rhodiola Rosea 红景天 drink nor oxygenated drink, I doubt there is such a thing as altitude sickness (高原反应). Probably not all people will be affected. You can be the judge. 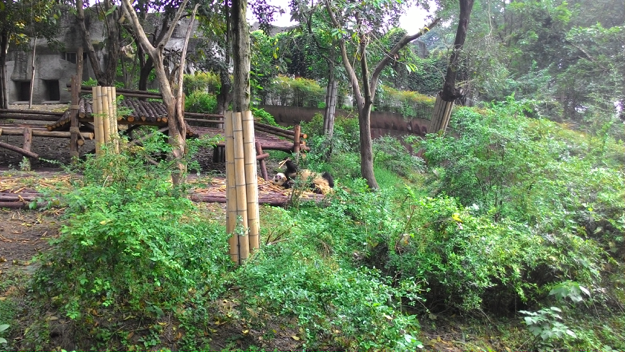 1630: Visited bamboo shop. Shopping time again. 1900: Watch 川剧 and 四川变脸. 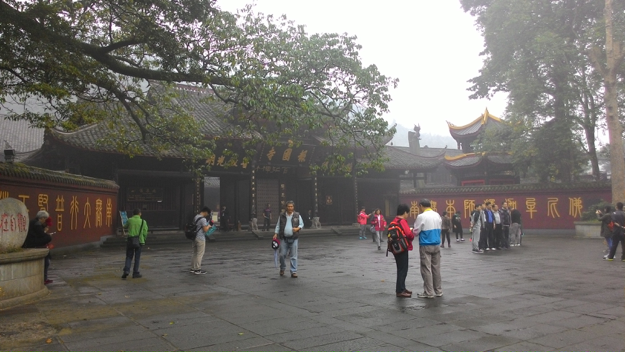 0830 – 1030: Visited temples. 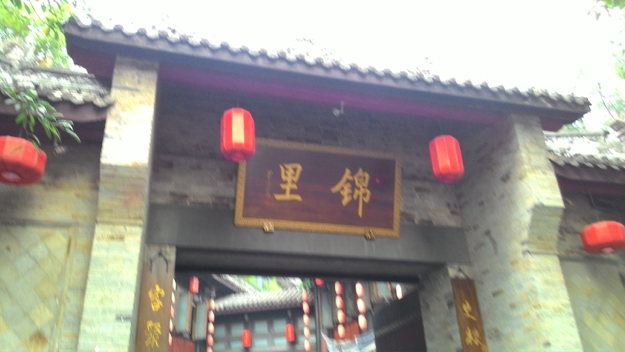 1300 – 1400: Had lunch and walked the streets at 黄龙溪. 1700: Visited silk shop. Shopping time. 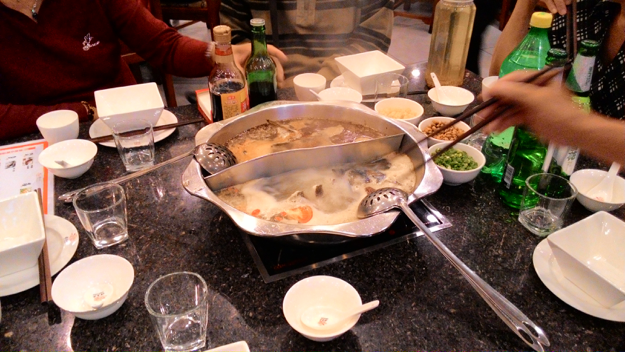 1800: Had steamboat dinner and watched 变脸. 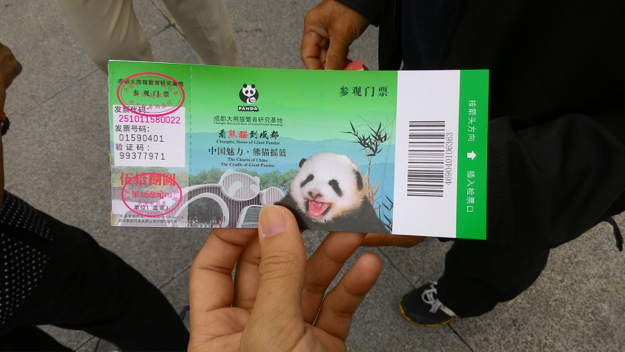 0930 – 1130: Visited panda. 1400: Visited herbal shop. Shopping time. 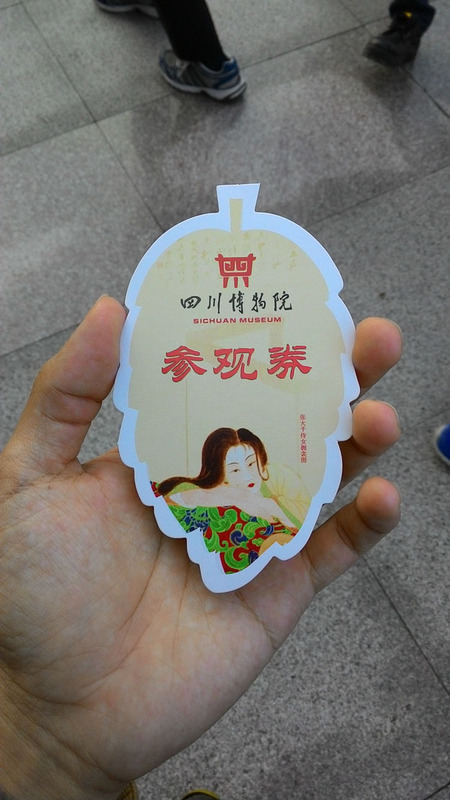 1600 – 1700: Visited Sichuan museum. 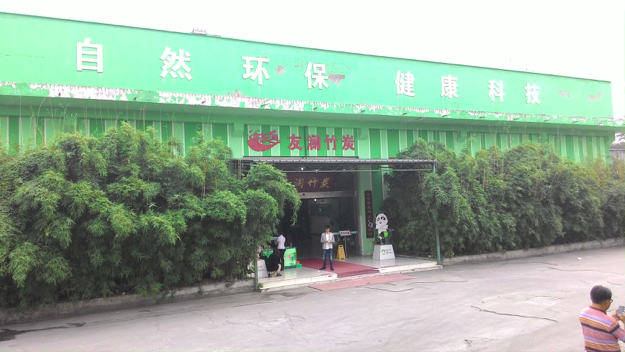 0930: Visited jade shop. Shopping time. 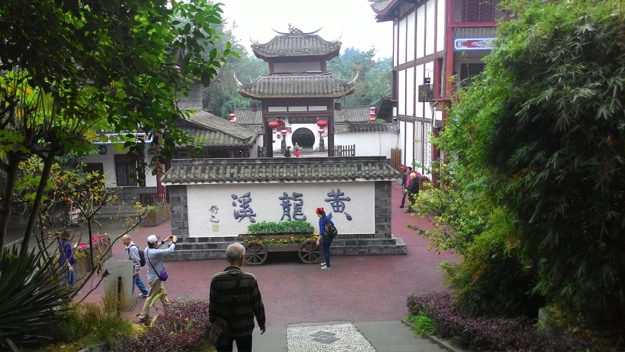 1330 – 1600: Visited 锦里 street. 2200: Time to go home. This was a really torturing exhausting trip. I think it was suffering because of the long hours of sitting in the bus and endless changing of hotels, especially in the middle of the nights (there were two cases where we were only allowed to sleep for less than four hours due to the fact that we reached the hotels too late during midnight). You won’t have good mood to watch the beautiful natural scenes. First, because you are exhausted. Second, the most popular tourist attractions are too “polluted” by people. There are just too crowded to have a relax trip. Talking about madness of crowd, I saw it in this trip. This gives me a better way to visualize the madness in the stock market. In order to have a better experience, I should avoid the crowd. 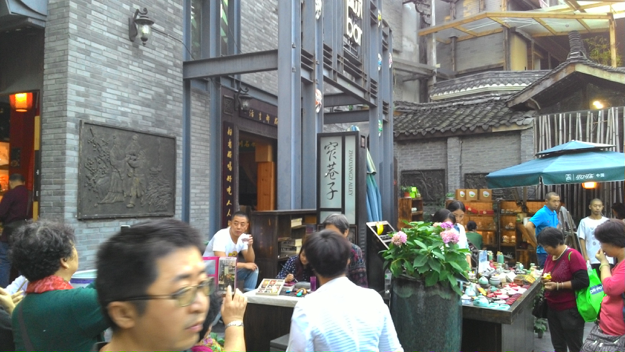 Group members are complaining about the “necessary” shopping times (tea, silk, bamboo, herbal, jade) because they were forced to buy somethings they didn’t need. Furthermore, it ate away the previous time of everyone. They knew about these facts before hand but they still chose to go with the trip. Talking about the food they provided, we always had way more than enough food for lunch and dinner. Probably a good thing for some people. But not all the food was suitable for everyone, for example the 川菜. Every time, the unfinished food was wasted. I have an impression that traveling is equivalent to wasting. Whenever there is waste, there are ways for improvement (business opportunity). 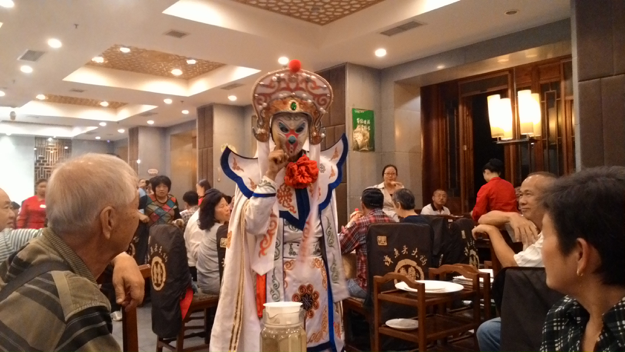 Having these negative experience, I heard that some of the group members are still planning for future trips to China (云南，丽江，etc) in the beginning of next year. They are really very active and bad experience cannot stop them. You really cannot underestimate those elderly persons. They maybe physically fitter than you. My parents alone went to China for seven times (including this time) within last few years. Each time it was equally exhausting (a lot of walking). I tried to understand their behavior. Why they choose to go to somewhere so physically exhausting and are willing to spend money doing so? I thought it was the predictable irrationality at work. People say it is a good place to go and you must go else you won’t have time anymore. So you go because every body else is going. Herd instinct. Psychology is playing its trick again. Other than that, I realized that there is no better alternative for them to go visiting other countries other than joining the trips organized by the travel agency. They have the money but no place to go if not joining the group trip. I think this is a good opportunity for wanna-be entrepreneurs to revolutionize this domain to make group traveling less suffering and more fun with less “necessary” shopping. After all, your customers have plenty of money to spend. 1. 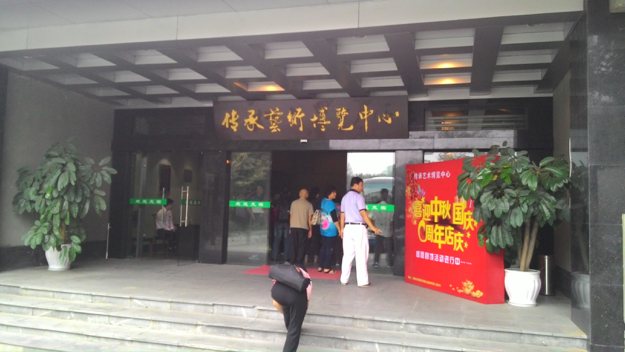 This is my first visit to China. While in the country, I could not access to google nor gmail at all. I could not even access the blogs that I usually read. It seems like I was disconnected from the world. 2. The soil in China is really fertile. I saw people growing vegetable everywhere. They don’t waste an inch of land for farming. Everyone is an expert in agriculture who grows wonderful vegetables and fruits. 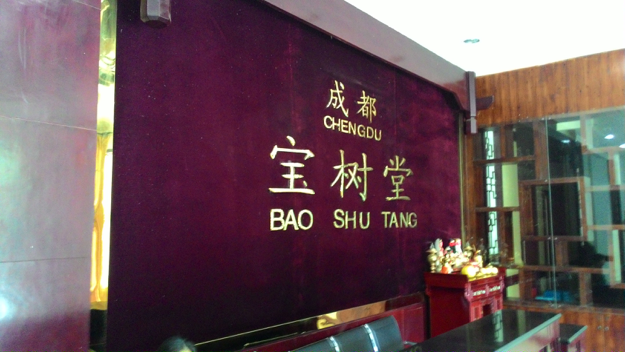 This entry was posted in Travel and tagged China on October 22, 2015 by Chok Leong.